(NaturalNews) Renewable energy has become something of a holy grail in this modern age of anti-fossil fuels. But a California couple is quickly learning that government efforts to get more people off the old grid are painfully schizophrenic – or at the very least contradictory and dubiously implemented – when doing so means that homeowners might generate more energy than they need, thus cutting into traditional energy grid profits. Ron and Sarah Hall of Lake Elsinore are still in shock over what happened after they tried to take advantage of a solar energy conversion program that promised free solar panels and installation if they allowed a local solar energy company to perform the work and retrieve the costs through state incentive programs on their behalf. Solar City would agree to provide and install the panels in exchange for state-sanctioned rebate reimbursements, a presumable win-win for both parties. But things quickly went south when the panels were finally installed in accordance with the terms and it was realized that the Hall residence would now be producing about 28 percent more energy than it would use, an apparent no-no under state law. According to Southern California Edison, the Halls' local energy provider, any home that produces more solar energy than it can use might turn around and try to sell that energy, making it an energy provider subject to commercial business regulations. The Halls had never intended to turn their home into an energy-producing commercial venture, of course, as it was reasonably assumed that any excess energy production from their panels would simply be an added benefit afforded as part of the conversion agreement. This is the case for thousands of other solar energy households throughout Southern California who, producing more energy than they use, sell some of that energy back to their local utilities. But in the Halls' case, the overabundant capacity of their solar configuration ended up becoming their worst nightmare, and they were eventually forced to have the panels removed – this after having the panels sit atop their house unused for months. "They're hooked up, but they're not turned on," Ron Hall told the local media, indicting Southern California Edison as the culprit in their mandatory non-use. "They're saying that the system that I have will generate 128 percent, that's 28 percent over what they estimated." For nearly a year, the Halls were stuck with functioning, but legally inoperable, solar panels as they fought for the green light to have them turned on – to no avail. They were ultimately forced to cut ties with Solar City, which agreed to remove the panels and restore the home back to its former, fossil fuel-dependent state, blaming a "design flaw" for the failed installation. A representative from Southern California Edison later told NBC Los Angeles, the local affiliate that first reported on the saga, that the state of California is to blame for the disaster due to policies governing "commercial" energy production. But this is only partially true, as Solar City is also to blame for an energy leasing clause in the agreement that ultimately landed the Halls in the legal quagmire. Part of the agreement between the Halls and Solar City was that the Halls would pay the company a monthly flat fee to use the energy they generated from their "free" panels. Solar City apparently installed panels that were too large and too powerful for the Halls' home because the more energy the panels produced, the more money Solar City would receive in leasing fees – and the more legal trouble in which the Halls could potentially find themselves mired. "You're better off going with a system you own – especially if it comes with a production guarantee that indicates (in advance) how much energy your system will generate," says Sunline Energy, another solar energy provider out of California. "This way, your installation will be small enough to be affordable but large enough to cover your electricity needs." 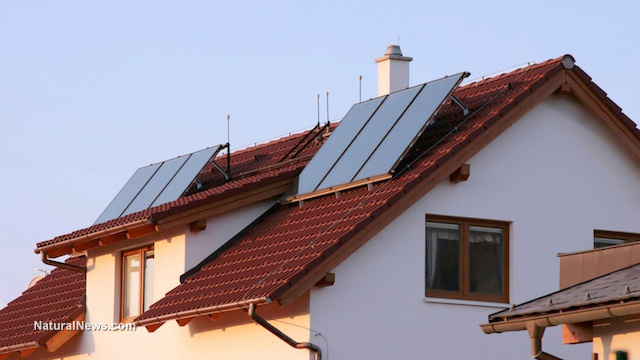 Will solar panels kill the utility companies?